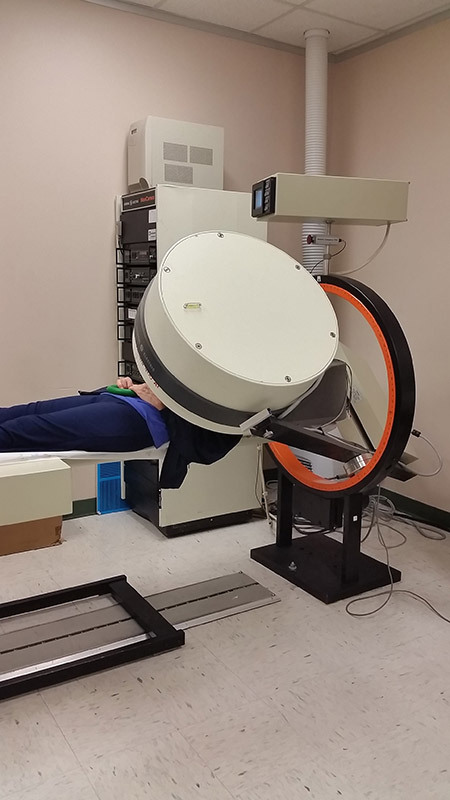 Nuclear imaging test that shows how well blood flows into the heart during exercise and at rest. This test can show: the size of the heart, ventricular function (how well the heart pumps), myocardial perfusion (how well the coronary arteries supply the heart with blood), and if there is damage or scarring of the heart muscle from previous heart attacks. 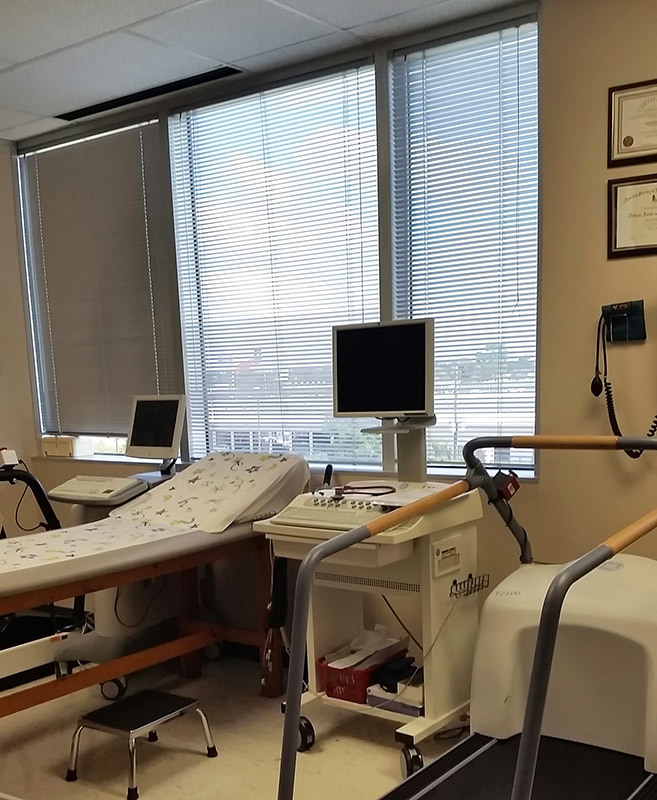 To diagnose cardiology concerns such as an enlarged heart, congenital heart defects, and cardiomyopathy, echocardiograms are an important diasnostic tool. 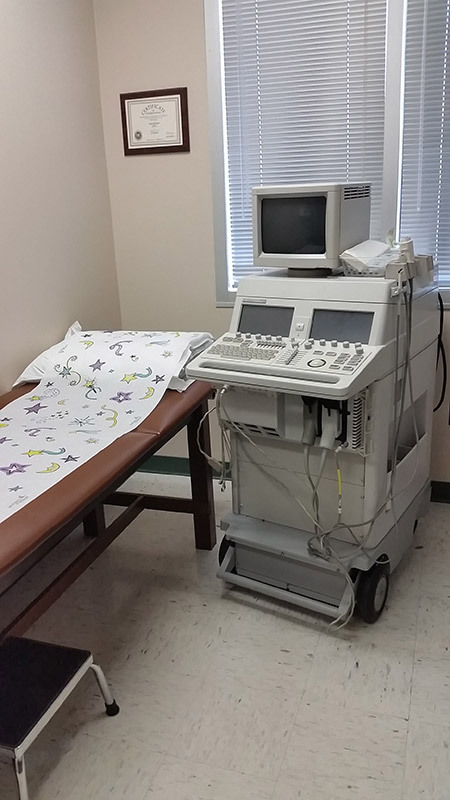 Sometimes known as an "Echo", this type of ultrasound uses sounds waves emitted by a transducer to form a video of the heart. To learn more about this test, visit our page on echocardiograms in Humble, TX. Noninvasive pictures of the carotid arteries via high frequency sound waves (ultrasound), used to evaluate for plaque buildup within the carotid arteries also known as carotid artery disease. Medical recording device that monitors the electrical heart activity for 24 hours; used for diagnosis of arrhythmias (irregular heart rhythm) and/or silent myocardial ischemia (decreased blood supply to the heart muscle). 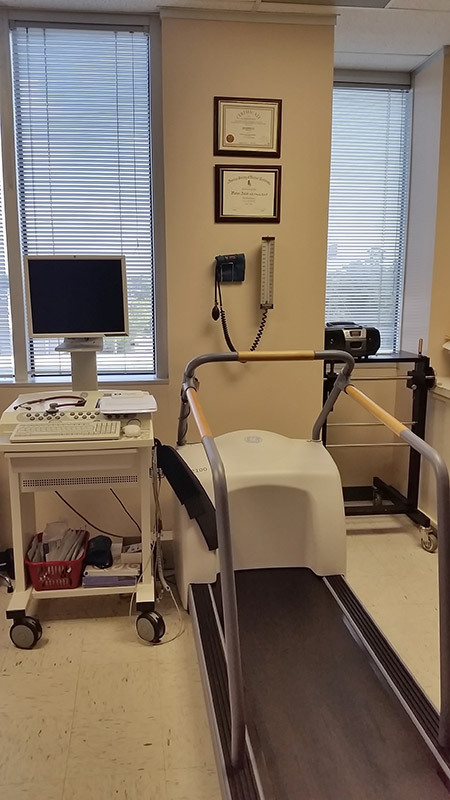 New FDA approved test which evaluates small nerve peripheral neuropathy and sudomotor function of the hands and soles of the feet. 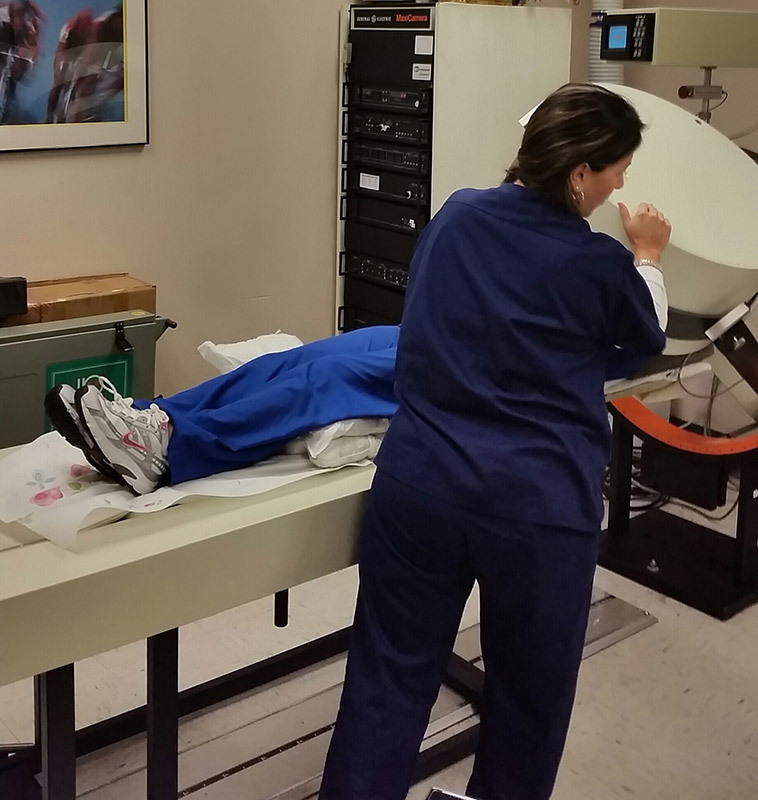 Noninvasive 3D Ultrasound that quickly and accurately measures the diameter of the abdominal aorta to identify the presence of Abdominal Aortic Aneurysms. 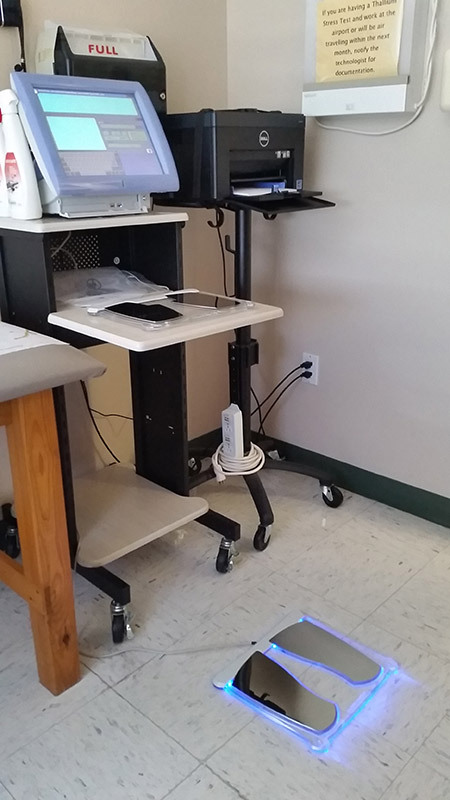 Noninvasive imaging of arteries and veins of the arms and legs via sound waves, measuring blood flow of the extremities to evaluate presence of blockages; used to diagnosis peripheral vascular disease (PVD), also known as peripheral artery disease (PAD). A highly sensitive form of stress testing that evaluates subtle alternating patterns in the ECG, patterns that have shown to be associated with increased risk of sudden cardiac death.